There are no rules when it comes to beach towels. Well, not anymore since Tesalate took the beach towel industry by the neck and gave it a damn good sand-free shaking. Oh sure, once upon a time a beach towel only had one job: dry the human when they came out of the water. Not so any more – now a beach towel is a funky accessory that needs to look as good as it feels. Back in the bad old days of my youth beach towels came in monotone scratchy terry toweling that pilled and pulled itself into a pathetic excuse for a sponge. A beach towel would barely last one salt water-laden summer before shrinking into shadow of its former self, embarrassed by its failing to cope with West Australian summers and beach life in the fast lane. Not only did these inept beach towels lose their way, they lost their dignity too. Shame. 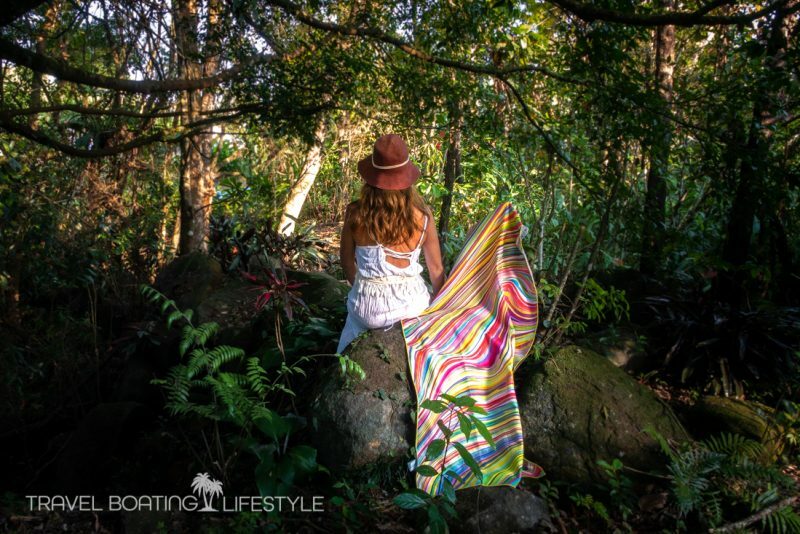 • Praise the Lord, a beach towel that dries fast! 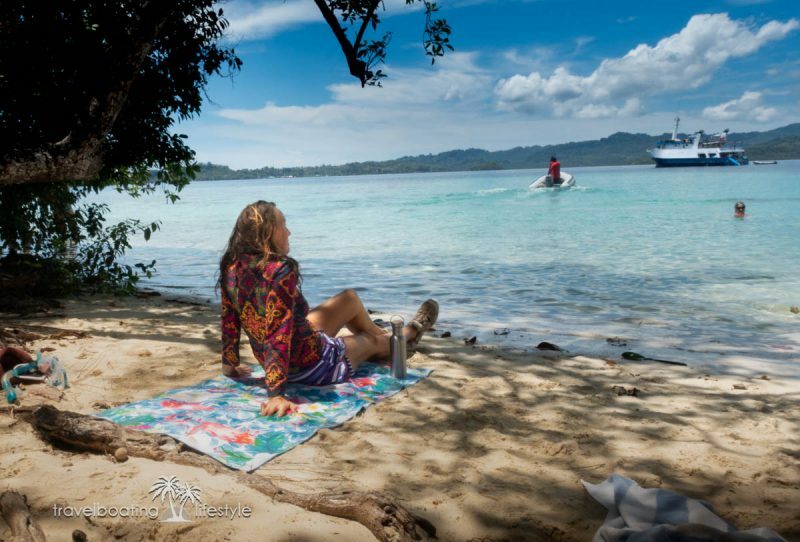 • What about a towel that folds into a compact size allowing room for other beach essentials. Like books, water bottles, a picnic lunch, heck, let’s throw in a bottle of bubbles and champagne flutes since we’ve got room to spare! Throwing out the beach towel rule book and tossing caution to the wind they wondered if would be too much to ask to throw in funky designs and bright colours? The sort that would make a Tesalate beach towel triumph on Instagram? Turns out it wasn’t. 18 months later the Tesalate beach towel was born to much applause, making its debut alongside one of Sydney’s most popular beach, at the Bondi Beach Markets. It didn’t take long for this funky little Aussie beach baby to soon strut its stuff to high acclaim on beaches in 70 countries. So, what makes Tesalate beach towels rise above a crowded beach? The secret is in the fabric. 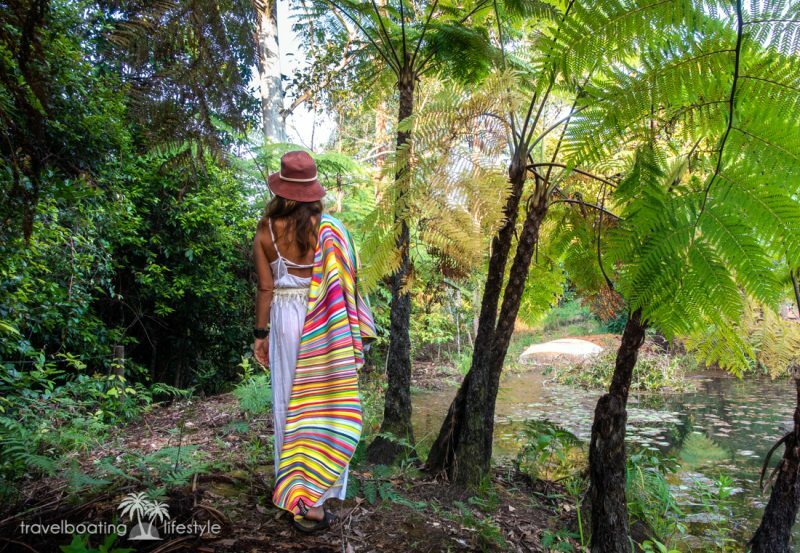 Apart from repelling sand, Tesalate beach towels measure a generous 160cm x 80cm. The towel is made from AbsorbLite microfibre which allows the sand to easily slide off instead of getting stuck in the looped fibers like those staid regular towels. AbsorbLite is engineered to retain a vibrant aesthetic with impressive durability. 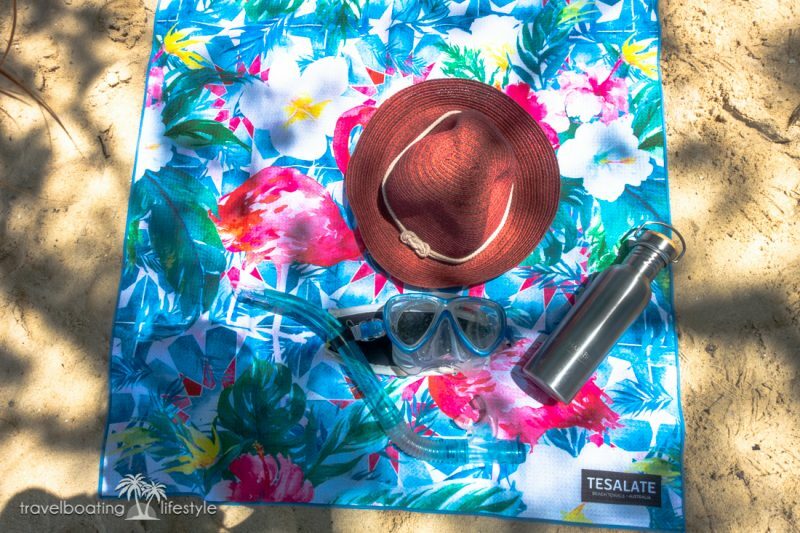 Tesalate beach towels are capable of absorbing up to one litre of water. These towels could probably absorb the same amount of gin, but quite frankly, if you’re tossing that much gin around it’s probably time to reassess your lifestyle. The point is, whatever the liquid, Tesalate towels dry fast! Microfibre AbsorbLite fabric is actually 80% polyester and 20% polyamide. Don’t be put off by the P word – in this case, polyester is your friend. Fabric care is easy too. Toss your Tesalate Beach Towel into the machine for a cold wash & hang out to dry. 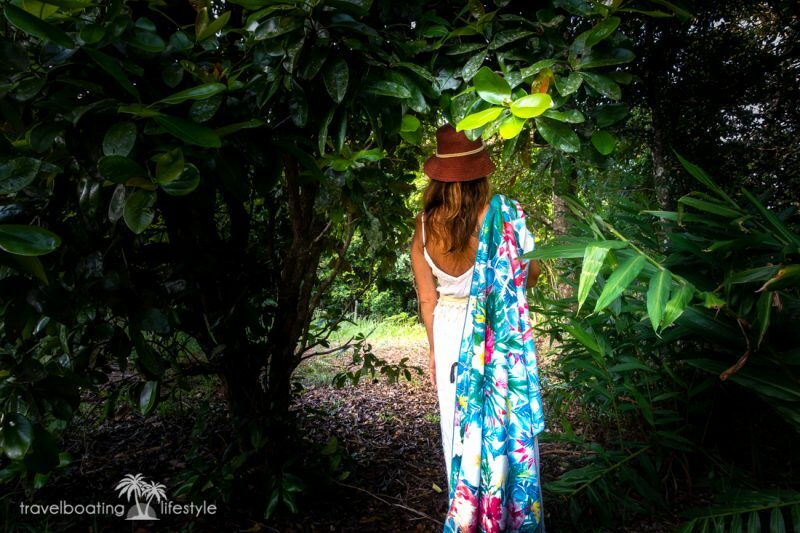 Beach Towel Design – let’s talk about colour! This is the fun part of reviewing Tesalate beach towels when you’re a colour junkie. These towels seriously rock. 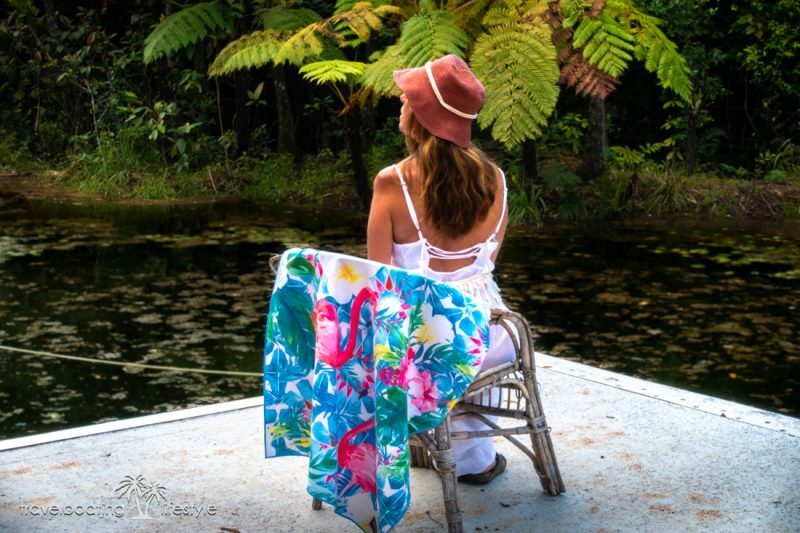 Proudly Australian-designed, they draw inspiration from the world’s best beaches with over 20 seriously drool-worthy colourful, funky towels to suit most tastes. Oh, don’t worry if your style is more discreet and low-key, Tesalate is not all ‘look at me’ bright colours and designs. We love the way Tesalate present their towels too. Each beach towel comes wrapped in delicate tissue paper, with a personal note all wrapped up in its own drawstring pouch. Online purchasers are rewarded with free shipping.